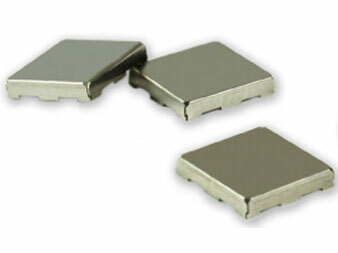 Leader Tech announces the addition of 30 new styles and sizes of Surface Mount Shields to its full line of EMI shielding products. Sample and prototype volumes of the company’s new one and two-piece unvented SMS Shields are ready to ship in as little as 24 hours with production run volumes in just days. The expanded series of SMS circuit board shields are manufactured from .008” tin plated steel or Alloy 770 and are a cost-effective option for most automated manufacturing (pick and place) applications. These shields provide superior shielding effectiveness up to 60dB for boards that do not require ventilation holes in the cover. The two-piece shield variations offers an industry leading cover retention of 1.5-2.5 lb./linear inch and provide easy access for rework and assembly. All Leader Tech SMS Shields are delivered in convenient tape & reel packaging. Technical drawings can be instantly downloaded by searching for “SMS” on the company’s website (leadertechinc.com) or by clicking any part number in the product line PDF.